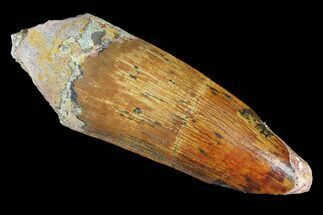 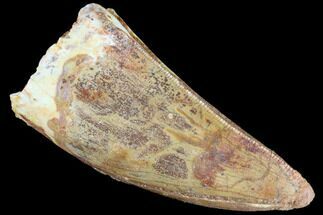 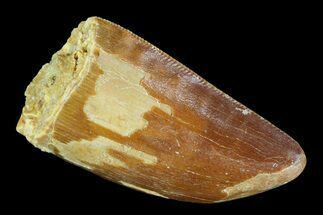 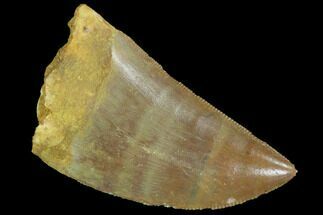 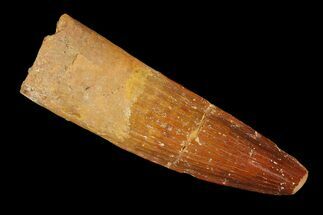 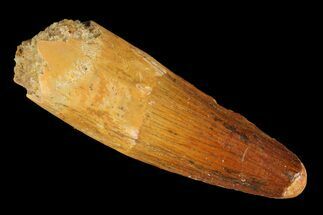 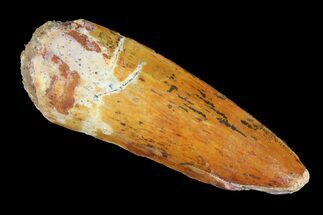 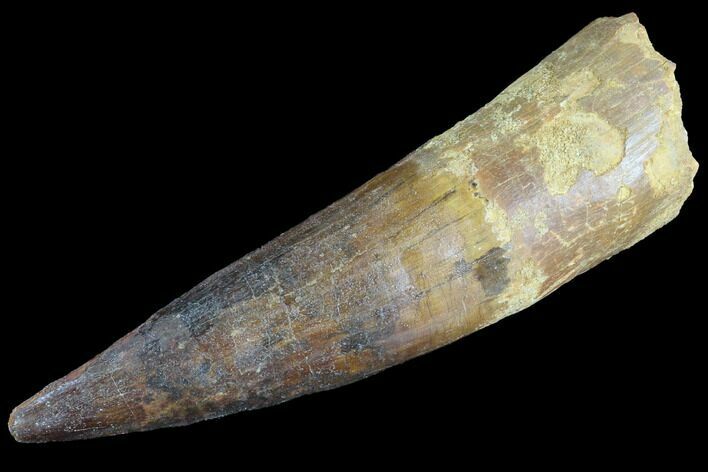 This is a large Spino tooth but the tip is a composite, hence the bargain price. 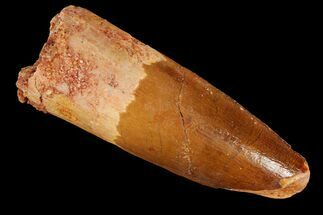 This means the tip was missing and the tip of another partial tooth was attached in it's place. 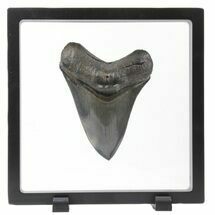 Had this tooth not been a composite it would have been several times more expensive given the size.